﻿﻿B﻿﻿eef kati rolls or Beef Frankie’s are delicious and irresistible. 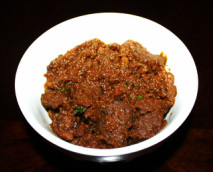 Beef cubes are first cooked in spices then curried beef is placed in a wrap along with onion, tomatoes and Green chutney. 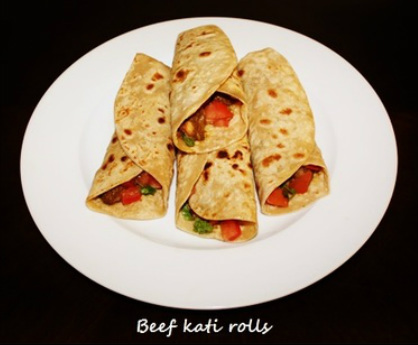 Beef kati rolls make a really nice casual dinner, and are a fantastic wrap to take for lunch. 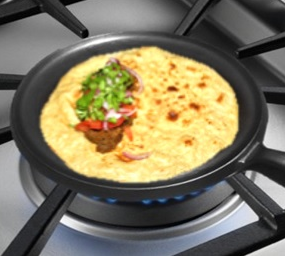 Traditionally kati rolls are wrapped in a paratha fill with lamb meat. Today, Kati rolls comes in a large number of varieties like filled with curried beef, curried chicken, paneer, lamb, shrimp and vegetables. 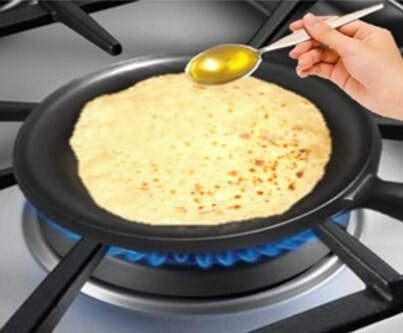 Kati roll recipe seems complicated but it is easy to make. 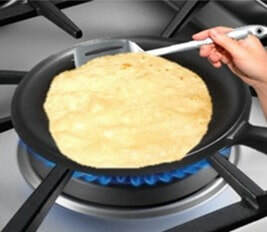 All purpose or whole wheat tortillas could be used as a wrap or in India Roomali roti could by purchased from the dhabas (street stalls) for wrap. ​1. 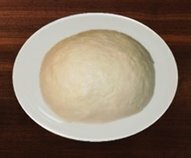 Add all purpose flour in a mixing bowl, add a little water at a time and mix it with flour in a rotating motion from the center of the bowl to outward until it form a dough and it cleans the sides of the bowl, knead it for few minutes, until the dough become soft and just the right rolling consistency. 2. 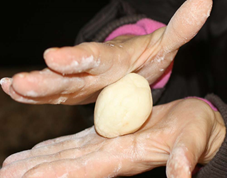 Knead the dough with greased hands make a ball, then cover it and keep it aside at least half hour. Dough maker or food processor could be use to make a dough. the onions fry for 8 to 9 minutes, frequently stir the onion. 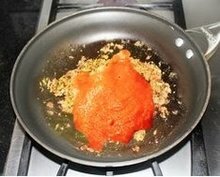 powder Turmeric powder and mix with the onions and fry for few seconds. 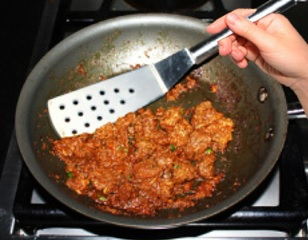 thicker, sprinkle chopped coriander leaves, turn the stove off. 13. 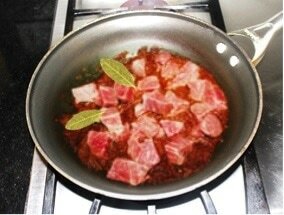 Beef filling should not be too dry leave it little juicy. 1. 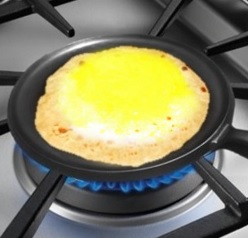 Pre heat the tava (cast iron flat griddle) on medium heat and grease it. ​ keep dusting as required. 7. 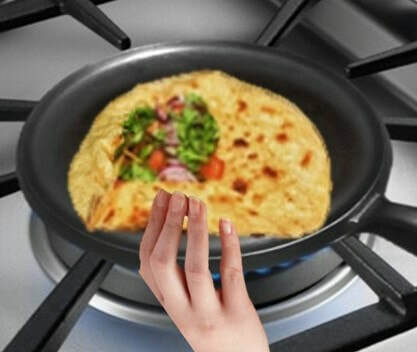 Now pick the wrap, pat in between your hands to shake off the excess flour. 8. 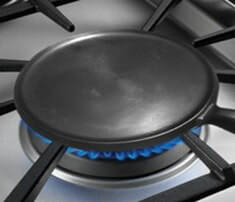 Place the wrap on the hot greased skillet and let it cook. means it is too hot, adjust the heat accordingly. 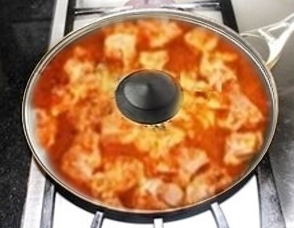 Cook on medium high heat. 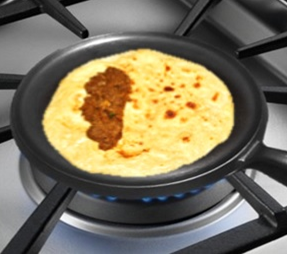 spread evenly then turn the wrap to other side and spread oil, and cook. easier to fold. 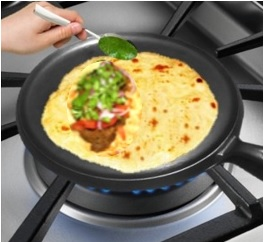 It takes about 2 to 3 minutes to cook the wrap. ​ leaving about 2” in the bottom and 2” on the side. 16. 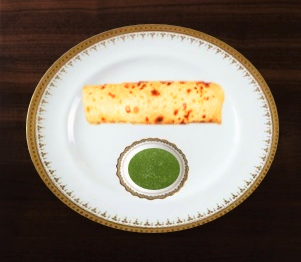 Serve Beef kati roll hot with coriander chutney. stuffing and other ingredients over, then wrap them. 4. 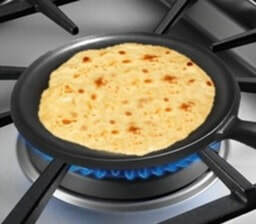 Roomali roti is also used for wrap. 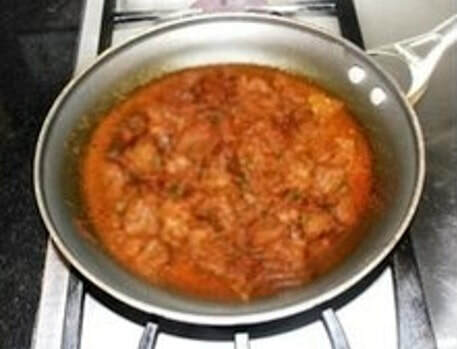 tender if cooked in pressure cooker.